Here’s some of my favorite stuff from the internet that caught my fancy today. Catch me talking about this stuff on air tonight on Spirit 6-9 p.m. I love seeing artists take their music to new and exciting places. 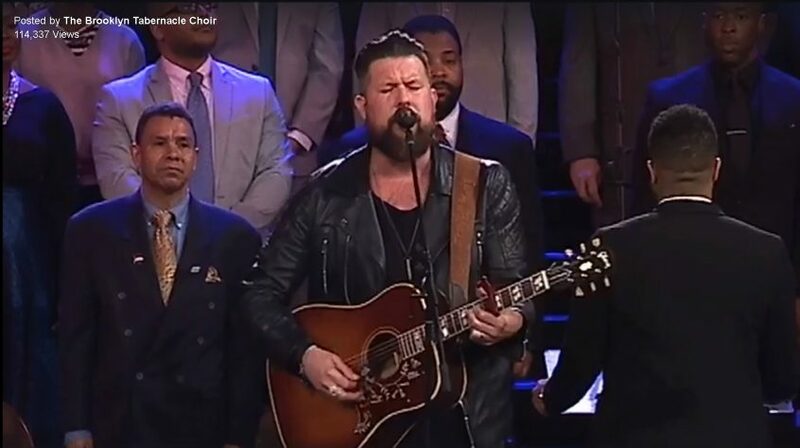 One of our favorite artists, Zach Williams (who you can see June 13th with Hollyn and Jordan Feliz) played with the Brooklyn Tabernacly Choir and it was AWESOME! 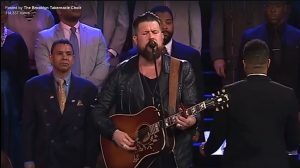 Zac Williams did a beautiful performance of “Chain Breaker” with the Brooklyn Tabernacle Choir. … And no, not Tom. 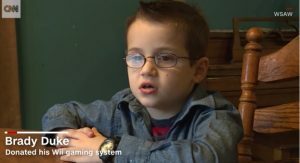 Brady is a 7 year old who gave his Wii to his local police station when he found out one of their officers had lost his life in the line of duty. This behavior reminded me of Matthew 18:3 from the Bible, which I believe you can take one of two ways. I believe you can take this as a threat or a welcome and comforting word. I don’t need to do all these lavish over-the-top gestures to get into heaven. In fact, that would be great but it’s not going to change my fate at all. What I need to do is be like a child. Innocent, loving, and full of faith. Giving up his Wii was no doubt a sacrifice if this kid is anything like I was when I was when I was his age. But he saw someone in need and an opportunity to help someone and he took it. We all need to be more like Brady. I’ll let the video speak for itself. Little bro has had about enough crying and once he hears ice cream is involved it’s all over. These are just some of my faves from the internet today. Get in touch any time!